Total approx. length of anchor rode is 165 feet. Defender chain rodes are made out of Peerless/Acco MADE IN USA chain and Premium 3 strand Nylon or 8 Plait Line. 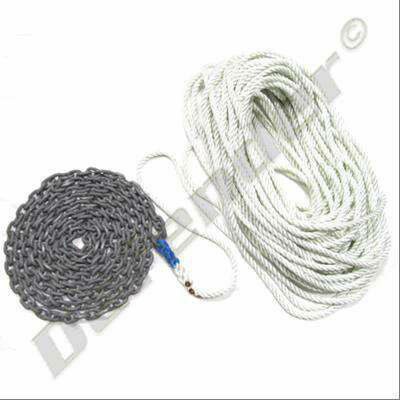 Note: We recommend you check your owner's manual or contact the windlass manufacturer for the correct chain/line, size and type for your windlass.